GLI University® is Gaming Laboratories International’s (GLI®) premier training center for regulators, suppliers and operators of all experience and knowledge levels. Technically trained engineers teach courses specifically designed to help keep you as up-to-date as possible on new technologies and other topics critical to gaming industry job functions. If you’ve ever wanted to know anything about the GLI University curriculum or would like to understand why continued education is important in your field, please join us for this free, live webinar. 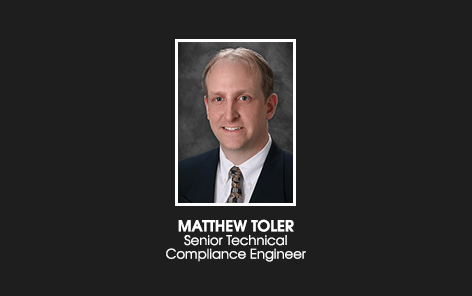 Mr. Toler is a highly trained and successful GLI University instructor with years of experience. In his current role, he is responsible for proctoring gaming technology training for regulatory bodies, managing forensic investigations, drafting technical regulations, regulatory consulting and serving as liaison between regulatory bodies and the various GLI engineering groups. He also facilitates certification of a wide variety of gaming devices and systems. To watch the webinar, please fill out the form below.